Running may seem like a simple and economic fitness activity that only needs a pair of shoes. But there is more to it. In fact, most people are unaware of the fact that serious runners, may need more than just a pair of running shoes. So, whether you are a professional runner or a fitness enthusiast, you will need some running gear. 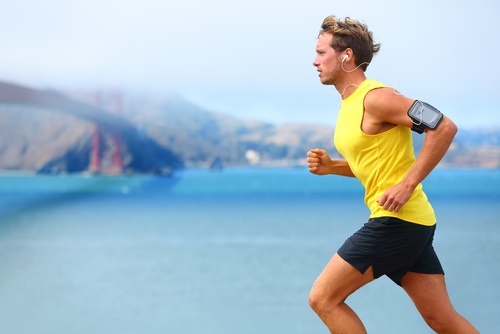 This will help you get the most out of your running session. To start with, after some time of running, you will realize that you need something to store your cash, keys, and your phone. In addition, you may also want to pick some other gadgets and tuck them in somewhere. This is where the running belt comes in. With our present lifestyle, a running belt has become a necessity for serious runners, whether amateurs or professionals. Choosing the best product can be difficult with all the options available in the market. You may have to consider a lot of factors and assess your needs. The items below are some suggestions to help as a guide. 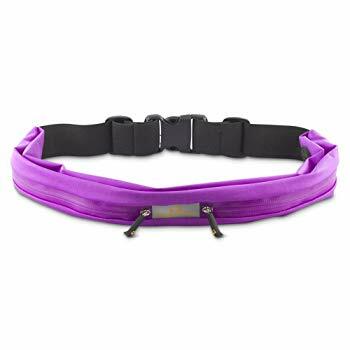 This is one of the most popular running belts in the market and has a sleek tubular design. Moreover, it is a continuous loop of fabric that is made from flexible micro-poly and Lycra materials. As a result, this makes it elastic and gives a lot of comfort around the waist. Also, it still fits in securely and will not fall off or bounce with you while running. 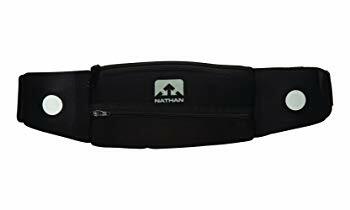 This affordable running belt is one of the most light-weight running belts in the market but has the right storage size for your needs. Moreover, one of its special features is that its reflective surface is from 3M Scotchlite technology. This is the kind that’s used to create fabric for traffic enforcers and those who work at night on roads. 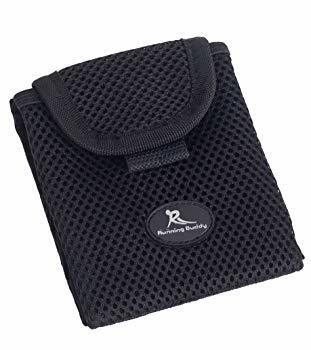 In addition, it has a simple design but does a great job when it comes to providing a secure storage for your stuff while running. At the same time, it is comfortable to wear. It can fit waist sizes from 18 to 55 inches. 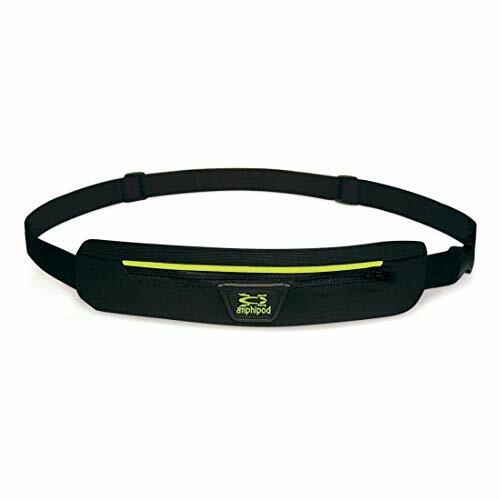 This multi-purpose running belt is perfect for those who are looking for more than just storage for their essentials. Moreover, it is great for hydration with its 2 BPA-free water bottles with rapid-flow race caps that are nestled in its quick-draw water holsters. Thus, this makes it easier to get them in and out. Besides the usual insulated pouch and interior pocket, it has energy gel loops and race bib toggles. As a result, this makes it ideal for those who plan to run in races and marathons. 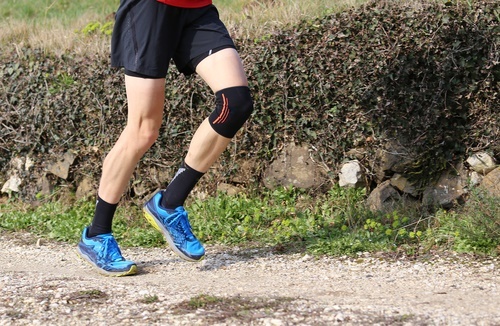 This special running belt is one of the most appealing in the market especially for long distance runners due to its unique features. Moreover, it is quite affordable and is designed keeping purpose and durability in mind. Also, it has AirFlow Micro-stretch pockets to keep you well-ventilated and keeps your stuff sweat-free. In addition, it has a 9 x 2 inches compartment that can consequently stretch up to four times its normal size. Also, it lets you store even huge phones such as an iPhone 6 or Galaxy S6. This sleek-looking affordable running belt is great for those who are just newbies in the running belt arena. This is an entry-level belt that focuses on purpose and style. Moreover, it provides enough room to store your stuff and is comfortable to wear. Furthermore, it has two adjustable and expandable pockets for you to tuck in even huge phones in it. In addition, other great features include a rear headphone access for your earphones and an elastic accessory holster for easy access to your smaller items such as lip balms. 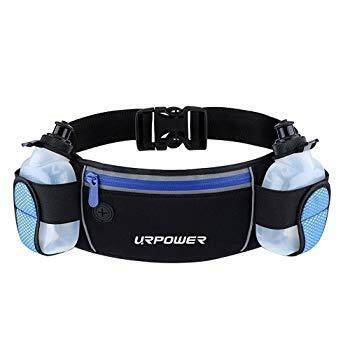 This hydration running belt is great for runners who need plenty of water during their runs but can’t stop to buy some hydrating drink. Moreover, it has two 6-oz BPA-free water bottles, one on the left and the other on the right. In addition, it also has a 5.7 inches zippered pocket in the front that can fit even large phones. Additionally, it is of high-quality Material neoprene material and that makes it light-weight. Besides that, it is tear-resistant and waterproof as well. You also get a lifetime guarantee with this product. This hybrid running belt is considered one of the most durable running belts in the market. It can serve as a sports pouch or even as a money belt. Moreover, inspired by the Ironman Triathlon World Championships in Kona, Hawaii, this gear has many features that make it a great product. In addition, it is from a light-weight and Material material which makes it comfortable to wear. Finally, it is also water-resistant and has a sleek seamless design. 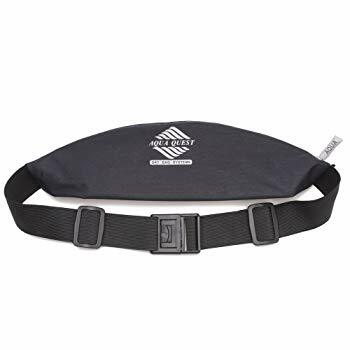 This running buddy belt is not a typical running belt. However, it is close to being one, as you can latch on to a belt, an armband or a waistband. Moreover, it has the same features of a typical running belt except that you just need to latch this. Overall, it keeps the pouch secure and in place. This one-of-a-kind running belt has safety written all over it. Built with an LED light, it is great for nighttime runs or to run in low-lit areas. 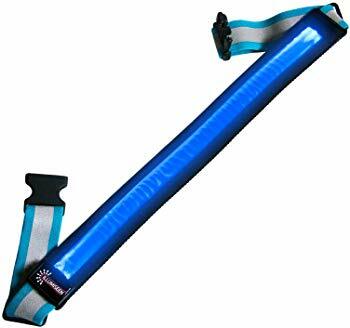 Moreover, it is much better than other running belts with reflectors as its LED strip is USB rechargeable. Also, it has two light modes that you can choose from namely solid and flashing. Not only is it adjustable, but it can also expand. Finally, it comes with optional belt clips. There are three types of running belts that you can choose from based on your needs, preferences, and style. Each type offers different features that you might be looking for based on your needs. Belt with Compartments – This is the most common type of running belt that seasoned runners use. It has buckles and zippers that may not appear to be the most attractive, but keep your stuff in place. Tubular Design – This is a simple type of belt which has a single compartment and wraps around the body. It is stretchable and keeps your stuff secure without being too tight on the body. Pouch – This is not a belt per se but something that you can attach to a belt. Moreover, it provides a lot of room to store your stuff but may not be as comfortable as the other types. While choosing a running belt, you need to consider a few things. You must take look at a lot of things, such as the size that you would be comfortable with and the how frequently you will use it. Below are a list of factors to consider when buying a running belt. Cost – You can either choose the most expensive one, something mid-range, or something that is budget-friendly. If you are looking for one that’s from high-quality materials, you must be willing to shell out a few extra bucks. Moreover, if your focus is on the function and you are willing to opt for a lesser stylish one, then you can opt for a mid-priced one. 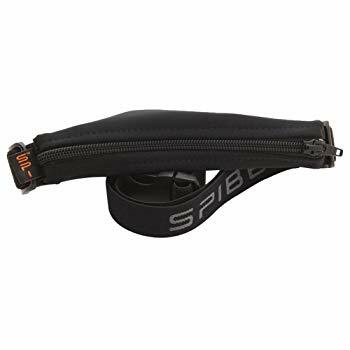 But if you are new to running belts or you don’t want to spend too much on one, then you can consider the cheaper ones. Storage – Since you are looking for a running belt, you must have some stuff in your mind that you’d like to store in it. The storage size would, therefore, depend on your storage needs. If you just need to store essentials, you don’t need to find a big one with a lot of room in it. But if you have a lot of stuff to store like a sipper bottle, sunglasses or a protein shake, then you may need a bigger one. Comfort – This is one of the things that you need to consider as this can consequently make or break your run. The belt should fit comfortably around your body without hurting or blocking your movements. In addition, it should stay in place without bumping, bouncing, or swaying too much. Material – To make the most out of your buck, it is best to consider a high-quality product. This will consequently ensure its durability. Some important things to consider are what kind of weather you will be running in, as well as how often you run. Customer Service – No matter how much a company tries to perfect their product, it is likely to have some issues. When this happens, you want their customer support to be responsive, professional, and efficient. Moreover, they must be able to go out of their way to provide you with the best of their products. 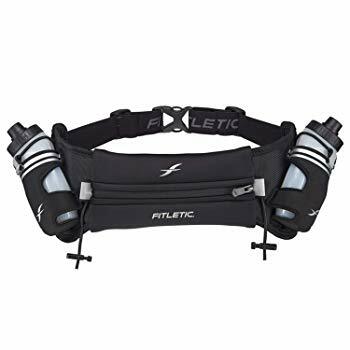 In summary, whether you consider running to be a sport or a workout, having a running belt across your waist has become an essential gear to wear. Both pros and amateur runners always want to get the best out of their running gears. So, choosing one of these few factors sounds good. Some factors are negotiable like a style, but others are not. For instance, no compromise is possible upon its durability and your storage needs. 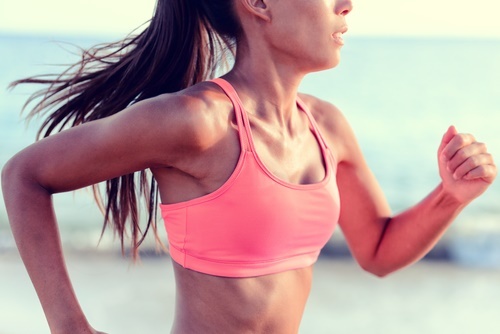 Overall, you will have to choose one that you are comfortable with during your runs.